What are you NOT allowed to do when driving on a motorway? Select all that apply. What are you NOT allowed to do when driving on a motorway? Select all that apply. A motorway is a high-speed road of two, but usually three or more, lanes that have grade-separated intersections. 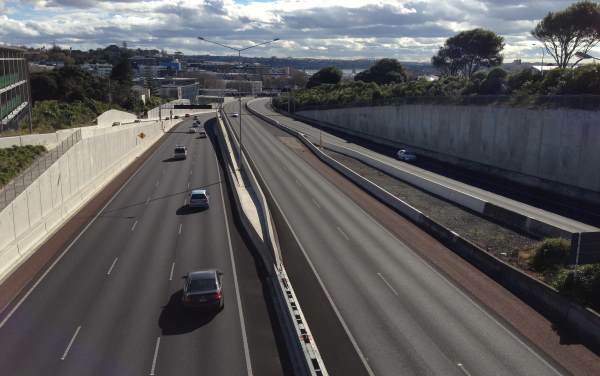 That is, the way you get onto and off the motorway is by exiting using an off-ramp which will lead to an intersection and connecting roads that either pass over the motorway using a bridge, or under the motorway in an underpass or cutting (or the motorway approaches are built up). If a multi-laned road has entrances and exits that aren't via off-ramps then it is an expressway. Motorways are designed to move as much traffic as possible, and you won't find things like intersections, parked vehicles, cyclists, pedestrians or turning vehicles. In fact, cyclists and pedestrians are not allowed on motorways, as are some types of vehicles such as mopeds (motorbikes under 50cc), some over-dimensional loads on some motorways (varies). You must not stop on a motorway unless it's an emergency. Stopping to use your cellphone is not an emergency and if you are caught you risk a fine. You must also not reverse, do a u-turn, use the hard shoulder as a lane, drive a vehicle that's not allowed on a motorway (e.g. a moped), walk (unless you have broken down and you're walking to a nearby emergency phone), pick up or set down passengers, or park.